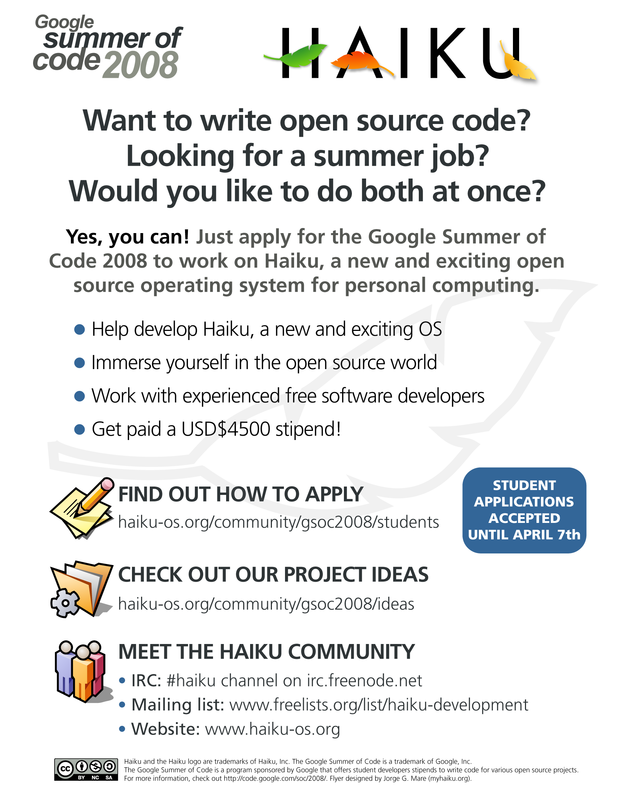 The Google Summer of Code™ is a program that offers student developers stipends to write code for various open source projects. 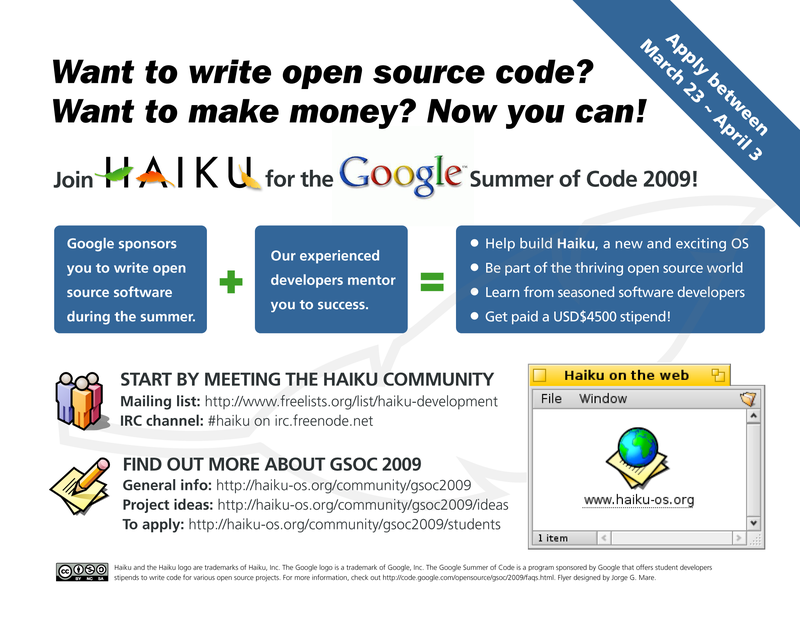 Haiku made its debut as a mentoring organization in 2007, and has since been chosen to participate nine times. 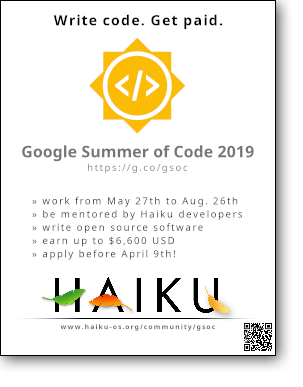 Participating in the Google Summer of Code has not only meant getting fresh code for many different areas of Haiku, but has also translated into community growth, as several former Google Summer of Code students have become active long-term Haiku contributors over time.